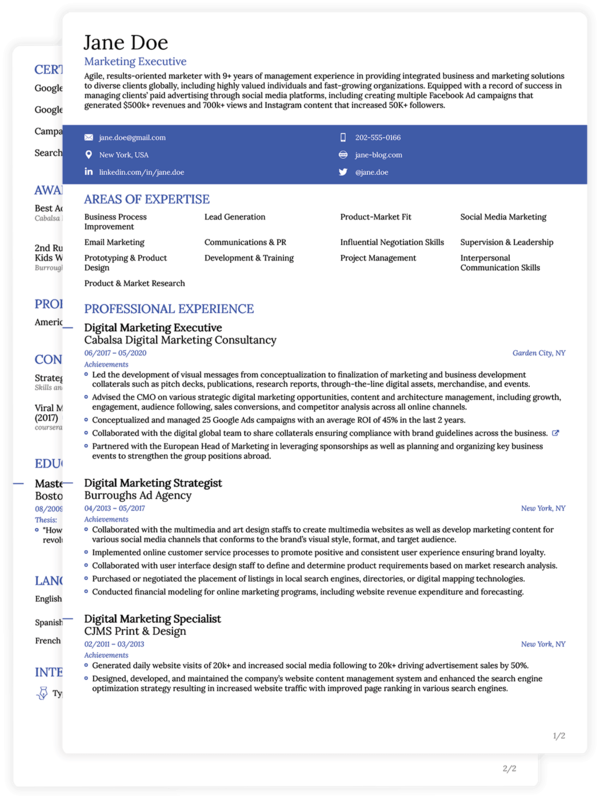 Why Should I Use a CV Template? 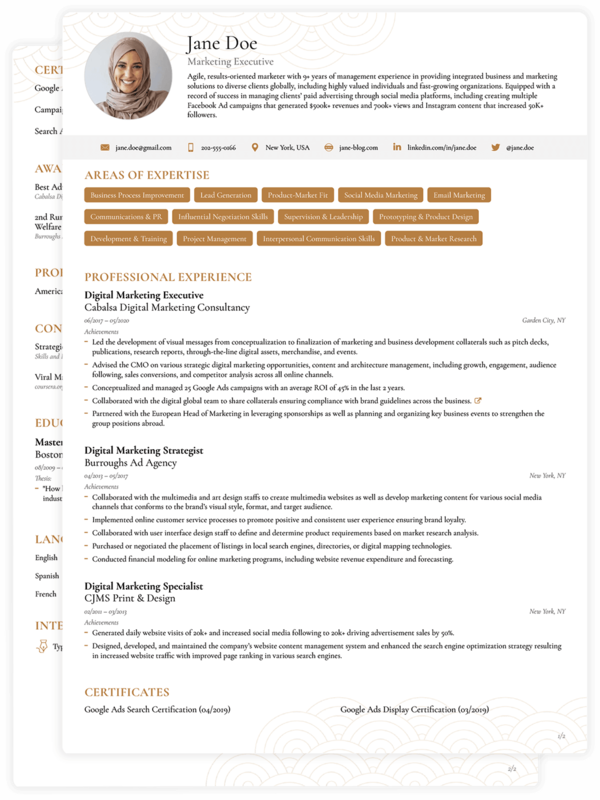 A functional Curriculum Vitae (CV) template in which it is recommended to focus on the work experience and skills you developed in the last 10 years. The focus on your modern Curriculum Vitae (CV) template should be on your achievements during your work at the previous Companies and your impact on the overall performance. 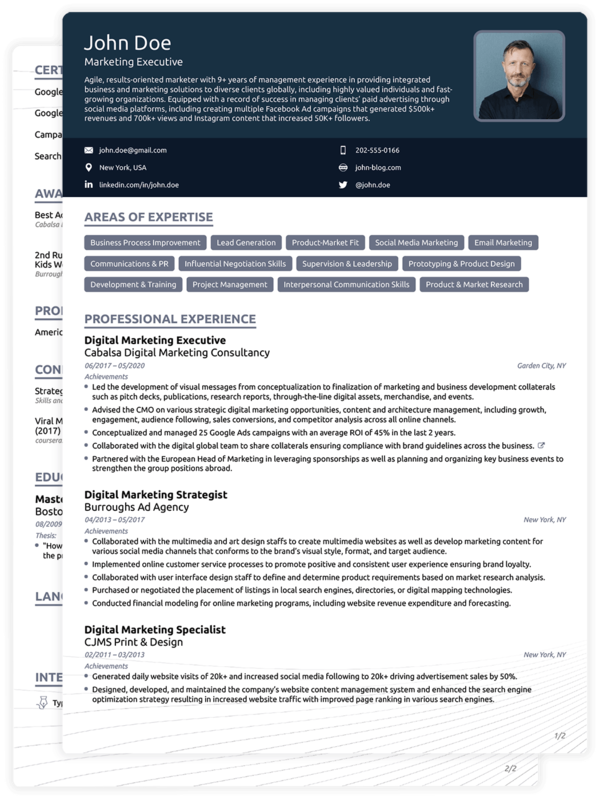 A simple Curriculum Vitae (CV) layout that was developed for Seniors that have extensive experience in conservative industries such as banking or law. Creative Curriculum Vitae (CV) template for people that are applying for jobs in young companies or start-ups where creativity and innovation are highly valued. 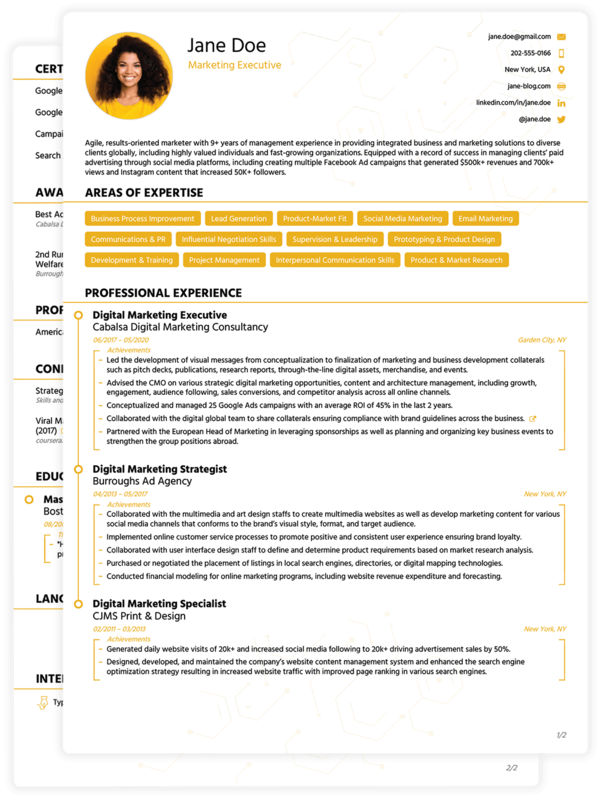 A basic Curriculum Vitae (CV) layout that can be used in both classic and creative industries. It can be easily personalized for whichever industry you are applying for. 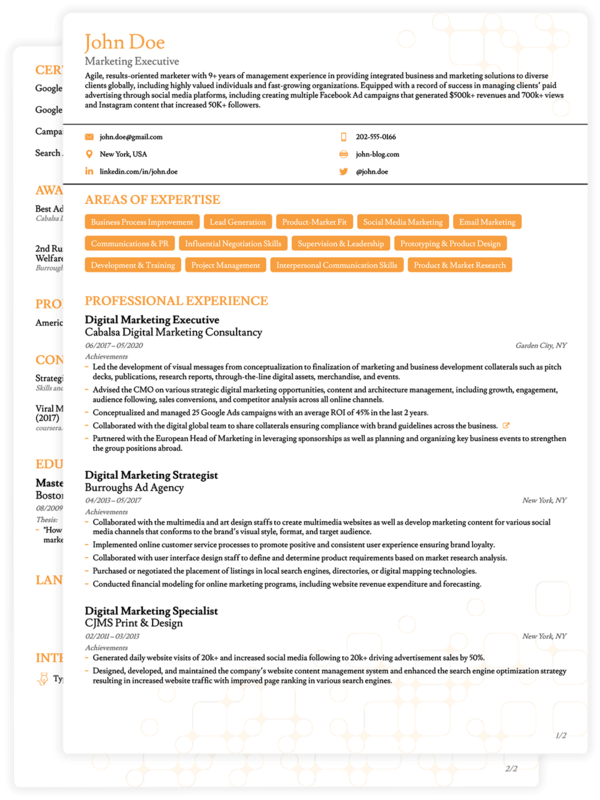 A professional Curriculum Vitae (CV) template that was developed in collaboration with multiple recruiters to increase your chances of getting your dream job. 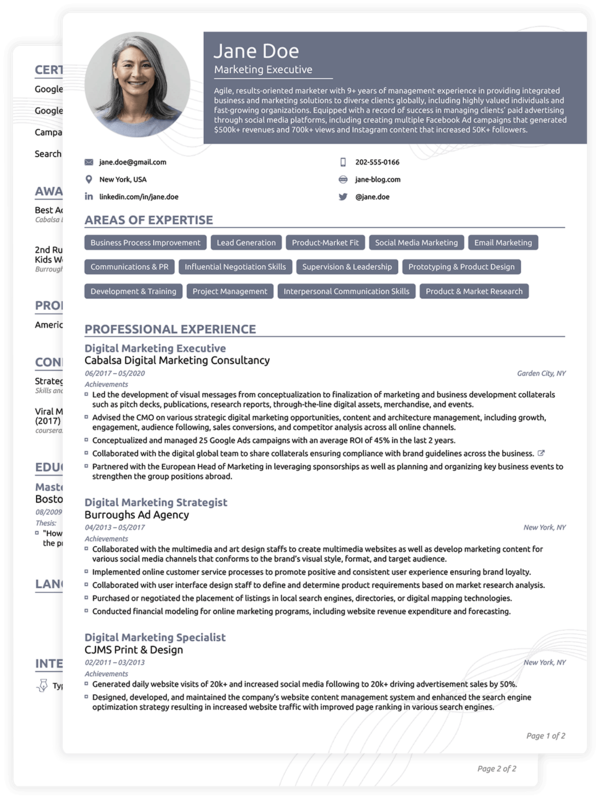 A college Curriculum Vitae (CV) template for the students that are applying for internships or jobs in academia or research where more than 1 page is needed. Executive Curriculum Vitae (CV) sample used when applying for positions that require more than five years of relevant work experience. Contact details: phone number and a professional email address are a must. Professional Title: ideally it will be the same as the job opening title if you have the necessary skills and experience. Professional Summary: highlighting your most important achievements and skills. Professional Experience: list your relevant work experience in reverse chronological order. Your Achievements: under each position you held, it is really important to mention your achievements rather than simply tasks you worked with. Skills: include the skills that are relevant for the specific job you are applying for and remember to differentiate the soft skills and hard skills. Extra sections: such as Personal Projects, Conference and Courses, Publications, Volunteer Experience, etc. Include only if they are relevant to the company or job you are applying to. You can consider it a marketing document, because its purpose is to sell you to the prospective employer. Make sure to address how your previous achievements and skills will bring value and solve their current challenges. The ideal length for your CV is 1 page if you have under 5 years of work experience and a maximum of 2-3 pages if you have more than 5 years of work experience. This was the conclusion after extensive research with recruiters and employers from various industries. Make sure to tailor your CV for each specific job opening or company and include only the information and experience that is relevant to this exact position. A good CV will include your Work Experience, Skills (+Technical Skills or Soft Skills, depending on the industry/job), Education (if relevant for the current position you are applying for), Languages, Skills and Personal Projects or Volunteer Experience. There is no "Best" CV format, as each recruiter/employer has their own unique preferences - but the general principles and guidelines that most of the recruiters and employers agree upon have been used when designing the above CV templates. 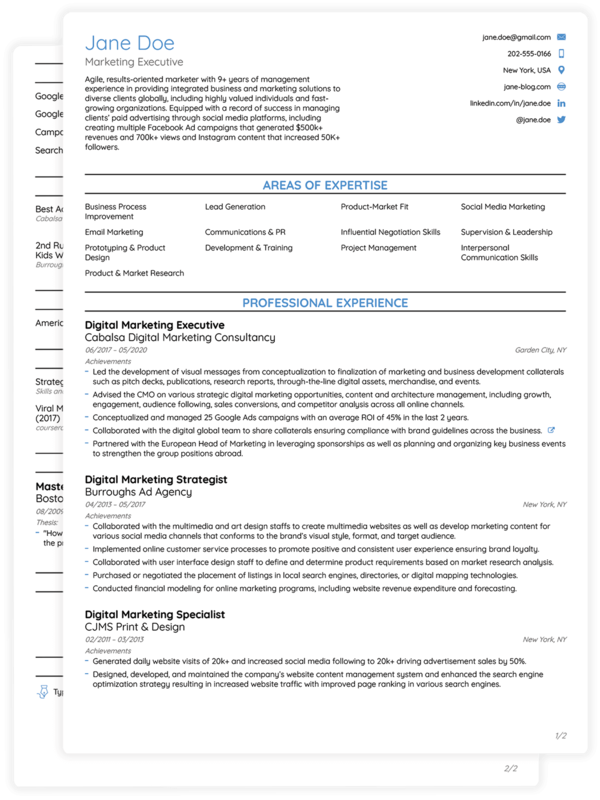 Writing a CV is not an easy endeavor, especially if this is your first time writing one. By choosing one of the above pre-defined layouts, you will not have to worry about the font size, alignments, or what sections to include, among many others. To improve the written part of your CV, you can have a look in the editor at the professional Tips & Examples that our team carefully prepared together with recruiters to make sure your CV template will be read and properly understood. Even for professionals, with 5+ years of experience, Novorésumé has a variety of templates with different options for layouts. What I love about this section is that the end result is nevertheless professionally crafted, easy to read and eye-catching. The common challenge I encounter in my work with ambitious professionals is the struggle to comprise many years of work experience in max. 2-3 pages. 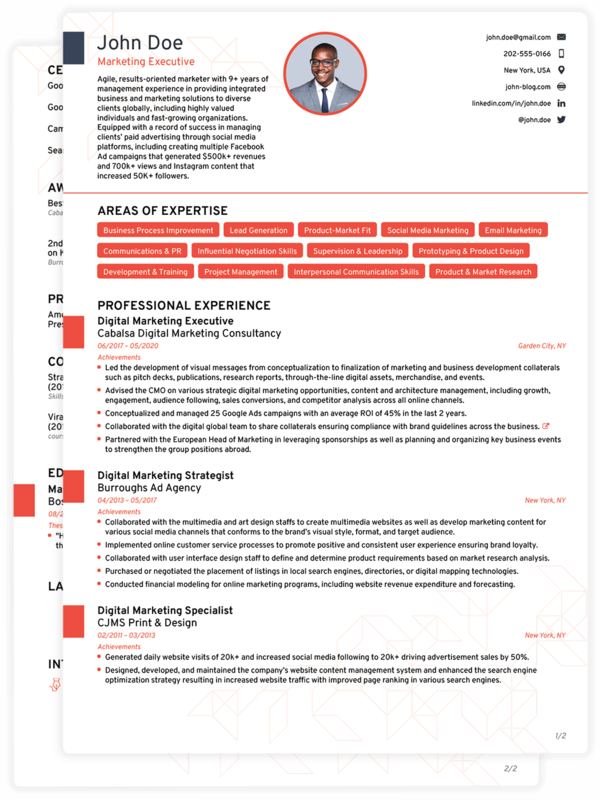 Not only the design alone but the content and the structure of such templates on Novorésumé's website makes a CV writing a constructive and fun experience. Novoresume's CV template bring some order into your professional history and moreover helps the recruiter help you. In case you are wondering what format to choose for your CV, keep in mind that the recommended CV layout by recruiters and employers is one column, especially when the length is over one page. Remember to arrange your previous Professional Experience, Projects, Achievements, Volunteer Work, etc. in chronological order. Always start your CV with your Skills/Expertise and previous relevant Work Experience as the main sections. The CV templates generated by novoresume.com will be available in a PDF format. The reason behind this is that a PDF looks better across different devices and is more secure. The myth of ATS systems not being able to read PDF files is not true anymore, as most of the companies nowadays have modern ATS systems that can read the PDF text-based files generated by novoresume.com. You can use the above CV samples as an inspiration, but make sure to personalize each one for a specific job application. Carefully research the industry you are applying for and the company’s culture in order to find out what colors, fonts and infographic styles you should use.